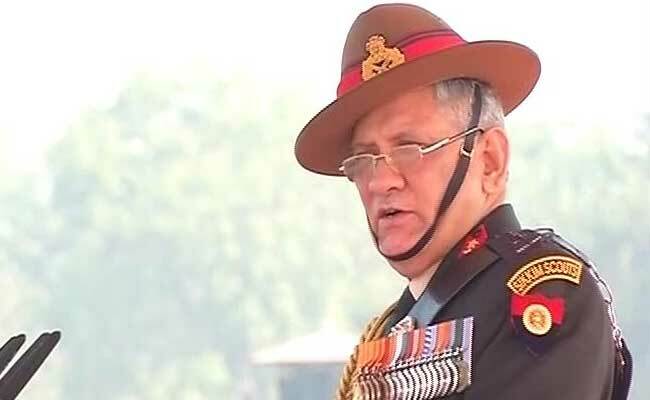 Army Chief General Bipin Rawat was on a two-day visit to Chennai on March 9 and 10, the release said. Army Chief General Bipin Rawat appreciated the force for the "good work" done by it during the December 2016 cyclone 'Vardah'. He lauded the army personnel during his visit to the Headquarters Dakshin Bharat Area in Chennai. Army Chief General Rawat was briefed on the assistance provided by the Army during the Vardha Cyclone and the rescue and relief operations undertaken by it, a Defence release said. "General Bipin Rawat appreciated the good work done by the Army during Vardah cyclone and expressed satisfaction on the welfare initiatives being undertaken by the Formation," it said. Cyclone Vardah had made landfall here on December 12, 2106, severely affecting the northern districts of Chennai, Tiruvallur and Kancheepuram. The Army chief was on a two-day visit to Chennai on March 9 and 10, the release said. He was received by Lieutenant General RK Anand, General Officer Commanding, Dakshin Bharat Area who briefed him about the training activities being carried out at various Regimental Centres.